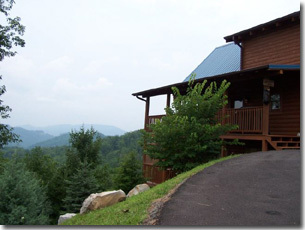 Please enjoy these pictures of the Glimpse of Heaven. 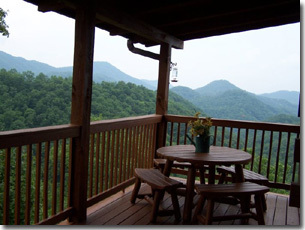 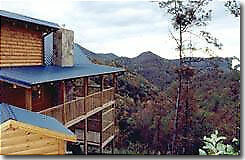 This is the deck and one of the wonderful mountain views. 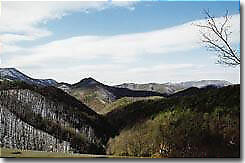 This is another wonderful mountain view. 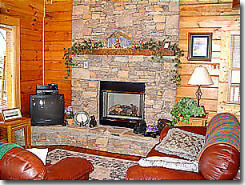 The fireplace and our cozy leather sofas. 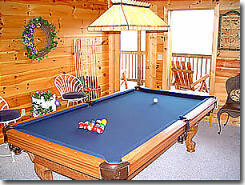 We even have a pool table. 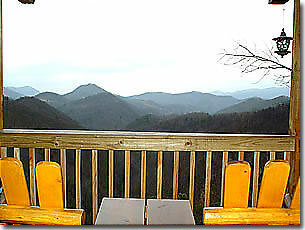 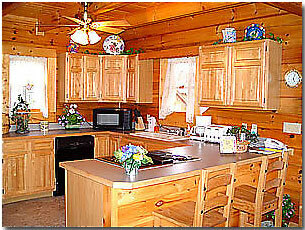 Views like this are what our cabins are all about. 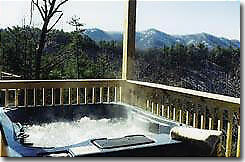 We really enjoy the hot tub - a bath with a view! 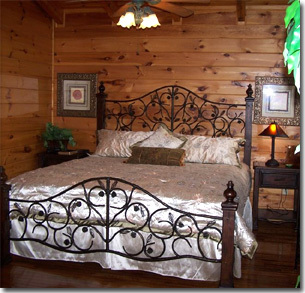 The charming knotty pine downstairs bedroom has a king bed. 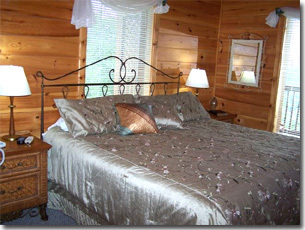 The upstairs bedroom also has a luxurious king bed. 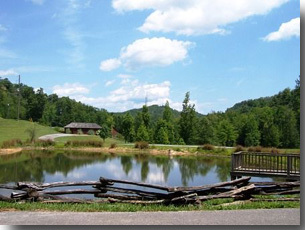 Catch and Release Fishing Ponds down the hill from Glimpse of Heaven.